World Neurosurg. 2019;124:522-538. doi: 10.1016/j.wneu.2019.01.122. On the Surgical Implications of Peritrigeminal Perforating Vessels in Microvascular Decompression. Oper Neurosurg. 2018 Dec 31. doi: 10.1093/ons/opy325. On-Demand Intraoperative 3-Dimensional Printing of Custom Cranioplastic Prostheses. Oper Neurosurg. 2018;15(3):341-349. doi: 10.1093/ons/opx280. The rectus capitis lateralis and the condylar triangle: important landmarks in posterior and lateral approaches to the jugular foramen. Cohen MA, Evins AI, Lapadula G, Arko L, Stieg PE, Bernardo A.
J Neurosurg. 2017 Dec;127(6):1398-1406. doi: 10.3171/2016.9.JNS16723. The Changing Face of Technologically Integrated Neurosurgery: Today’s High-Tech Operating Room. World Neurosurg. 2017 Oct;106:1001-1014. doi: 10.1016/j.wneu.2017.06.159. Virtual Reality and Simulation in Neurosurgical Training. World Neurosurg. 2017 Oct;106:1015-1029. doi: 10.1016/j.wneu.2017.06.140. The Orbit as Seen Through Different Surgical Windows: Extensive Anatomosurgical Study. Bernardo A, Evins AI, Mattogno PP, Quiroga M, Zacharia BE. World Neurosurg. 2017 Oct;106:1030-1046. doi: 10.1016/j.wneu.2017.06.158. Establishment of Next-Generation Neurosurgery Research and Training Laboratory with Integrated Human Performance Monitoring. World Neurosurg. 2017 Oct;106:991-1000. doi: 10.1016/j.wneu.2017.06.160. Neurosurgical Postgraduate Training in China: Moving Toward a National Training Standard. Xu T, Evins AI, Lin N, Chang J, Hu G, Hou L, Chen J, Bernardo A, Mao Y, Stieg PE. World Neurosurg. 2016 Dec;96:410-416. doi: 10.1016/j.wneu.2016.09.034. 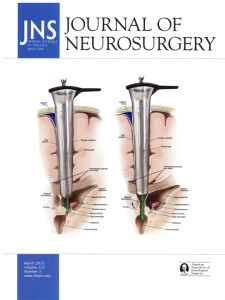 J Neurosurg. 2016 Apr 1:1-11. doi: 10.3171/2015.11.JNS151385. Birt-Hogg-Dubé syndrome and intracranial vascular pathologies. Kapoor R, Evins AI, Steitieh D, Bernardo A, Stieg PE. Fam Cancer. 2015 Dec;14(4):595-7. doi: 10.1007/s10689-015-9807-y. A Percutaneous Transtubular Middle Fossa Approach for Intracanalicular Tumors. Bernardo A, Evins AI, Tsiouris AJ, Stieg PE. World Neurosurg. 2015 Jul;84(1):132-46. doi: 10.1016/j.wneu.2015.02.042. Evins AI, Banu MA, Njoku I Jr, Elowitz EH, Härtl R, Bernado A, Hofstetter CP. J Clin Neurosci. 2015 Apr;22(4):730-4. doi: 10.1016/j.jocn.2014.10.025. The Pterional Port in Dual-Port Endoscopy: A 2D and 3D Cadaveric Study. Beer-Furlan A, Evins AI, Rigante L, Anichini G, Stieg PE, Bernardo A.
J Neurol Surg B Skull Base. 2015 Feb;76(1):80-6. doi: 10.1055/s-0034-1390398. Shoakazemi A, Evins AI, Burrell JC, Stieg PE, Bernardo A.
J Neurosurg. 2015 Mar;122(3):564-73. doi: 10.3171/2014.11.JNS14341. Three-dimensional endoscope-assisted surgical approach to the foramen magnum and craniovertebral junction: minimizing bone resection with the aid of the endoscope. Anichini G, Evins AI, Boeris D, Stieg PE, Bernardo A. World Neurosurg. 2014 Dec;82(6):e797-805. doi: 10.1016/j.wneu.2014.05.031. Interhemispheric Endoscopic Fenestration of the Lamina Terminalis through a Single Frontal Burr Hole. Beer-Furlan A, Pinto FG, Evins AI, Rigante L, Anichini G, Stieg PE, Bernardo A.
J Neurol Surg B Skull Base. 2014 Aug;75(4):268-72. doi: 10.1055/s-0034-1371521. Dual-Port 2D and 3D Endoscopy: Expanding the Limits of the Endonasal Approaches to Midline Skull Base Lesions with Lateral Extension. J Neurol Surg B Skull Base. 2014 Jun;75(3):187-97. doi: 10.1055/s-0033-1364165. A combined dual-port endoscope-assisted pre- and retrosigmoid approach to the cerebellopontine angle: an extensive anatomo-surgical study. Bernardo A, Boeris D, Evins AI, Anichini G, Stieg PE. Neurosurg Rev. 2014 Oct;37(4):597-608. doi: 10.1007/s10143-014-0552-8. The Meningo-Orbital Band: Microsurgical Anatomy and Surgical Detachment of the Membranous Structures through a Frontotemporal Craniotomy with Removal of the Anterior Clinoid Process. Fukuda H, Evins AI, Burrell JC, Iwasaki K, Stieg PE, Bernardo A.
J Neurol Surg B Skull Base. 2014 Apr;75(2):125-32. doi: 10.1055/s-0033-1359302. Expanding the borders: the evolution of neurosurgical approaches. Ottenhausen M, Bodhinayake I, Evins AI, Banu M, Boockvar JA, Bernardo A.
Neurosurg Focus. 2014 Apr;36(4):E11. doi: 10.3171/2014.2.FOCUS13547. Review. Partial anterior petrosectomies for upper basilar artery trunk aneurysms: a cadaveric and clinical study. Fukuda H, Evins AI, Burrell JC, Medda A, Iwasaki K, Stieg PE, Bernardo A. World Neurosurg. 2014 Dec;82(6):1113-9. doi: 10.1016/j.wneu.2014.03.034. Endoscopic fenestration of the lamina terminalis: alternatives to the classic third ventriculostomy. Beer-Furlan A, Pinto F, Teixeira M, Rigante L, Evins AI, Bernardo A.
J Neurol Surg A Cent Eur Neurosurg. 2014 Sep;75(5):410-2. doi: 10.1055/s-0034-1368693. Endoscopic extradural anterior clinoidectomy and optic nerve decompression through a pterional port. Beer-Furlan A, Evins AI, Rigante L, Burrell JC, Anichini G, Stieg PE, Bernardo A.
J Clin Neurosci. 2014 May;21(5):836-40. doi: 10.1016/j.jocn.2013.10.006. Complete bilateral arcuate foramina and atlantoaxial subluxation. Rigante L, Evins AI, Burrell J, Beer-Furlan A, Bernardo A.
Acta Neurochir (Wien). 2013 Dec;155(12):2357-8. doi: 10.1007/s00701-013-1899-2. Epub 2013 Oct 8. A safe and effective technique for harvesting the occipital artery for posterior fossa bypass surgery: a cadaveric study. Fukuda H, Evins AI, Burrell JC, Stieg PE, Bernardo A. 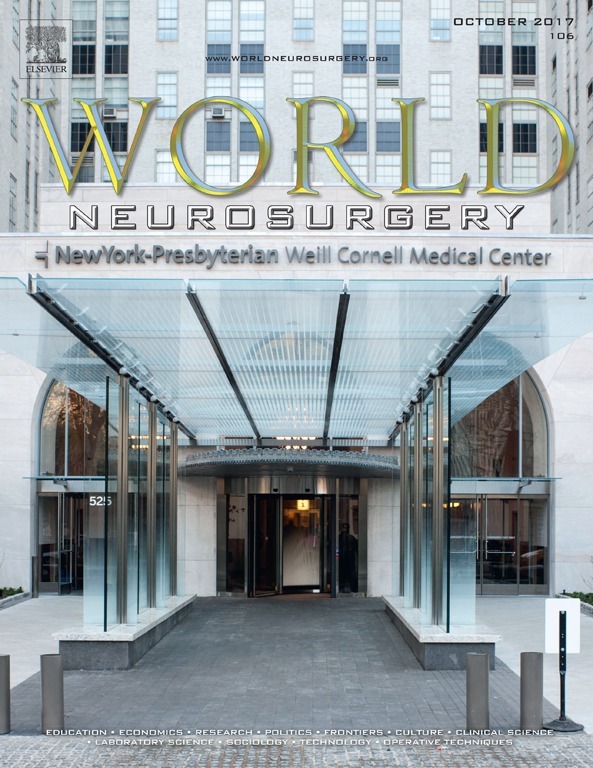 World Neurosurg. 2014 Sep-Oct;82(3-4):e459-65. doi: 10.1016/j.wneu.2013.09.015. The intracranial facial nerve as seen through different surgical windows: an extensive anatomosurgical study. Bernardo A, Evins AI, Visca A, Stieg PE. Neurosurgery. 2013 Jun;72(2 Suppl Operative):ons194-207; discussion ons207. doi: 10.1227/NEU.0b013e31827e5844. Systematic Reviews in neurosurgery – the ongoing quest for quality. Matis G, Silva D, Chrysou O, Birbilis T, Bernardo A, Stieg P.
Robotics for spinal operations: reality or Alice in Wonderland? Matis GK, Silva D, Chrysou OI, Birbilis TA, Bernardo A, Stieg PE. Int J Med Robot. 2012 Mar;8(1):125-6. doi: 10.1002/rcs.433. Surgical approaches to the orbital apex: comparison of endoscopic endonasal and transcranial approaches using a novel 3D endoscope. Roth J, Fraser JF, Singh A, Bernardo A, Anand VK, Schwartz TH. Orbit. 2011 Jan;30(1):43-8. doi: 10.3109/01676830.2010.543004.